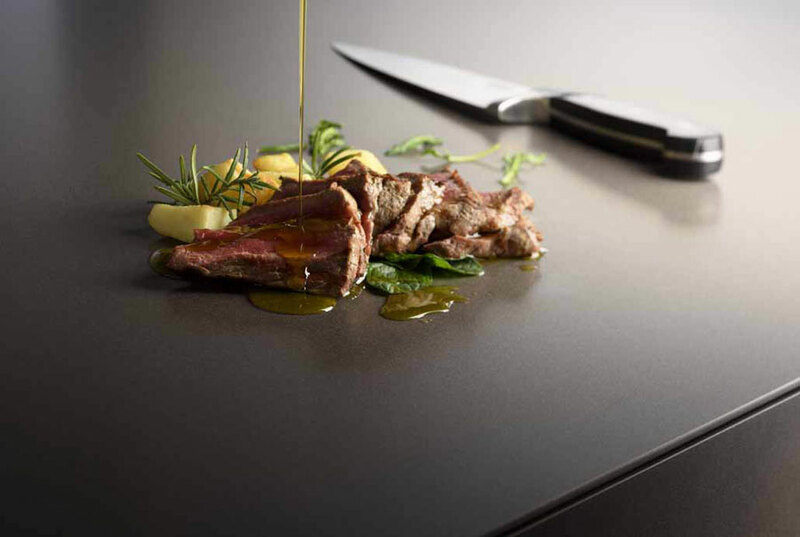 Interpreting the trends of contemporary kitchens and the scenario of the future, Franke, world leader in the production of kitchen systems with professional performance, has proposed Eurocucina 2018 a new and exclusive collection of super metallic colours for its Fragranite sinks. Four new shades are included in the colour palette, warm, welcoming and timeless tones that create an intimate and sophisticated environment: Copper Gold, Sterling Silver, Copper Grey and Lunar Grey. 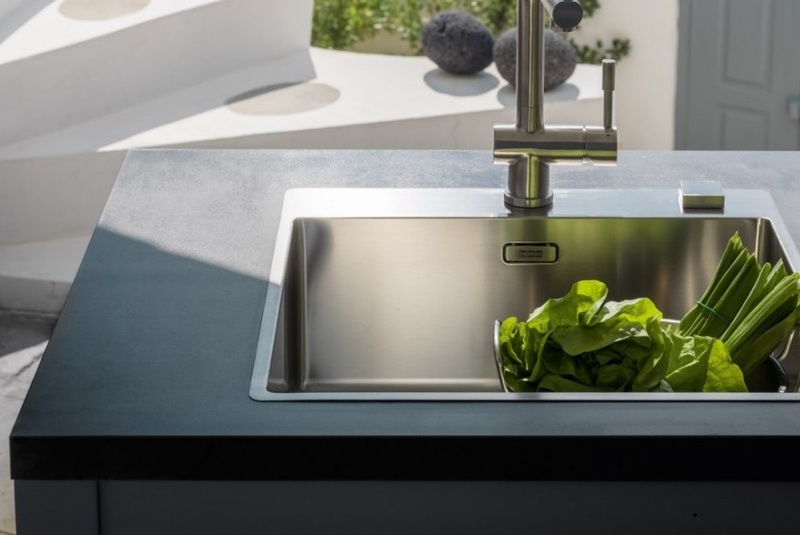 These four shades dedicated to Fragranite, the exclusive Franke material that stands out for its exceptional strength and durability over time, as well as for maximum hygiene, are added to the 12 'classic' finishes already in the collection. 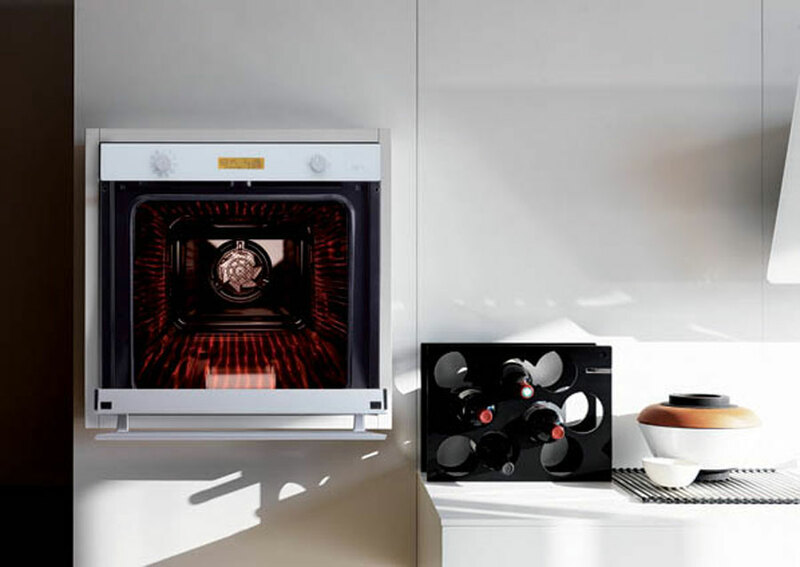 A particular metal effect, sometimes iridescent, designed to enhance the kitchen and the design, an important aesthetic choice that also involves other materials and finishes integrating perfectly in a system that includes ovens and hobs. These new nuances with metallic effect improve the design of the new Fresno, Style and Kubus 2.0 sinks: three different interpretations of the washing area, always characterized by maximum functionality and contemporary aesthetics. 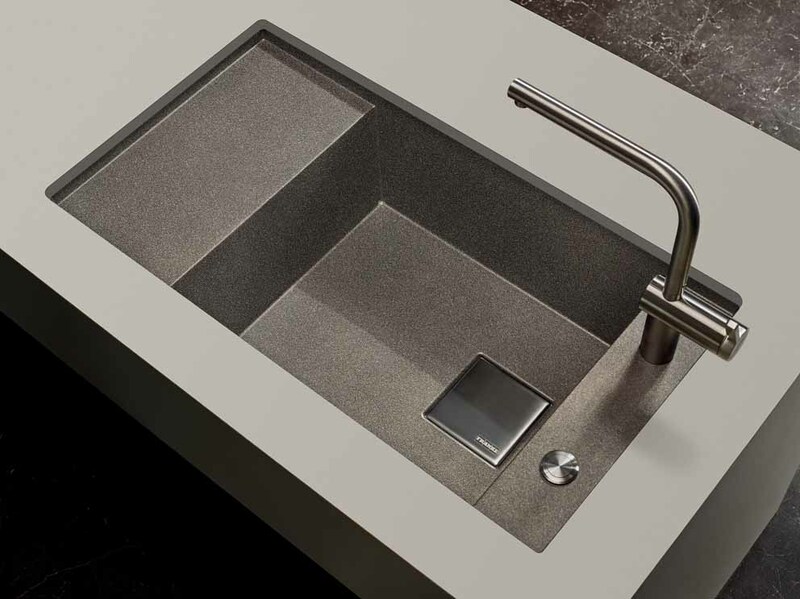 The Fresno sink is characterized by a rational design with clean lines, enhanced by the super metallic finishes Copper Gold, Sterling Silver, Copper Grey and Lunar Grey. 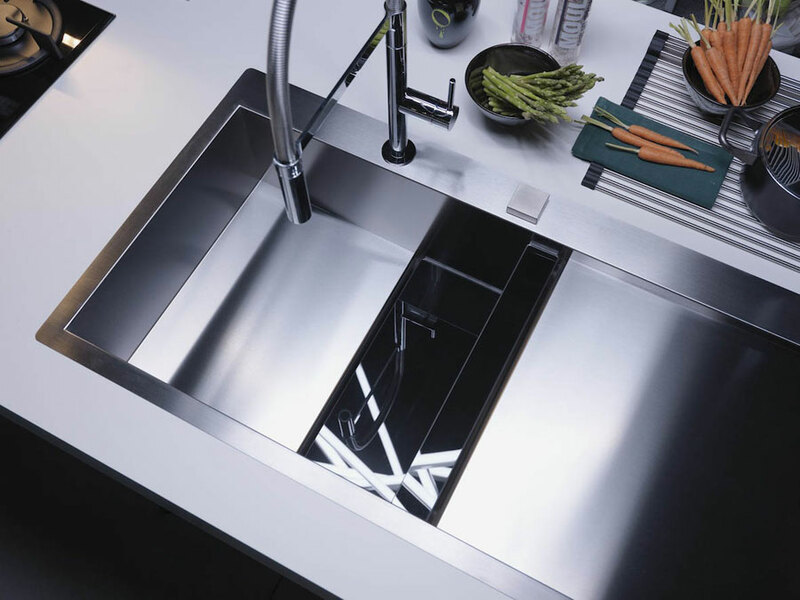 Available in the single-deck configuration with drip tray, Fresno features the perimeter overflow and the square stainless steel drain cover, which is coordinated with the remote controlled drain and the wide range of mixers in the same finish. 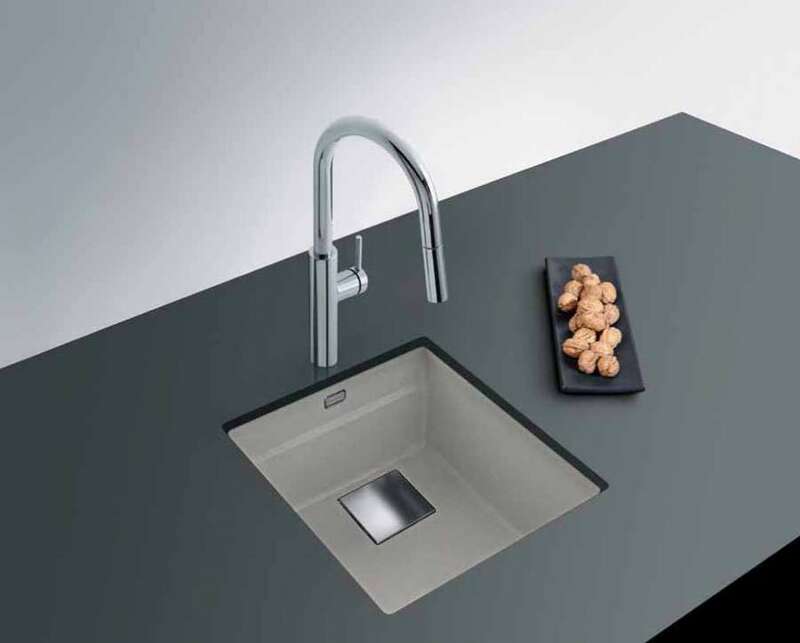 Installable with a wired mount or under mount, the new Fresno sink is also available in the traditional colours of Nero, Storm, Oyster and Vanilla and coordinated with the Active Metal mixers collection. 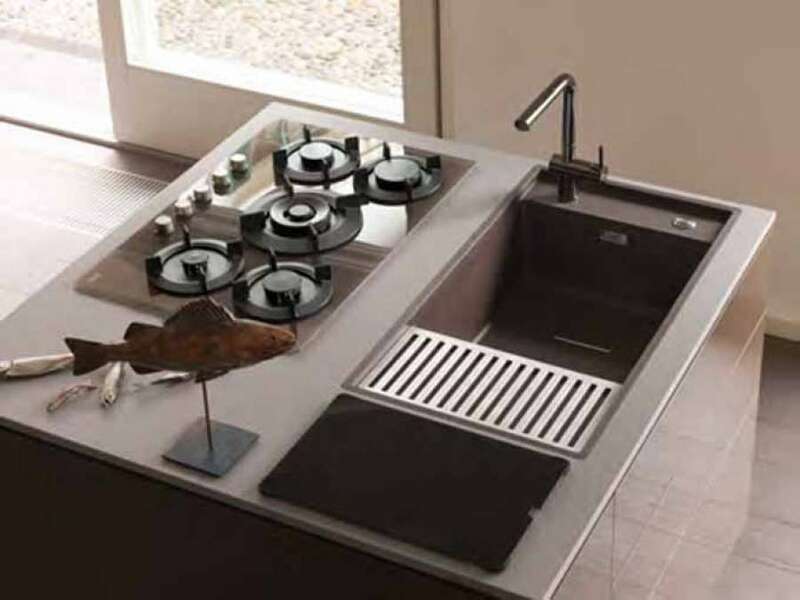 The Style kitchen sink is synonymous with harmony and maximum aesthetic cleanliness. 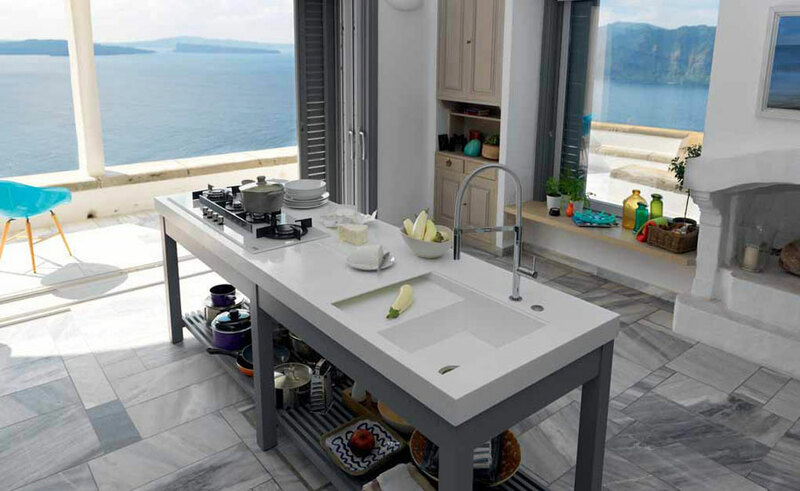 Over mount installation, side faucet bench, sophisticated design enhanced by generous rounded lines. Initially proposed in Alabaster colour Fragranite, Style is already available in the traditional shades of Vanilla, Storm, Nero and Oyster and now available in the four new super-metallic finishes of the 2018 collection. 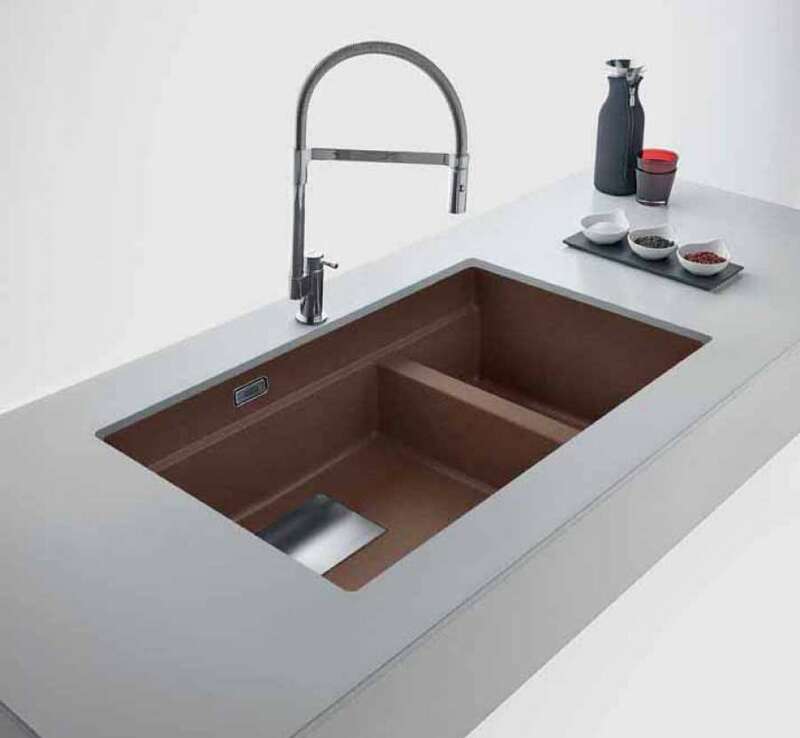 Refined details such as the drain cover, the perimeter overflow and the remote control opening system with push-pull system, all in stainless steel and refined accessories, among which the oak wood chopping board and the anti-bacterial container rack make Style a high-end sink. 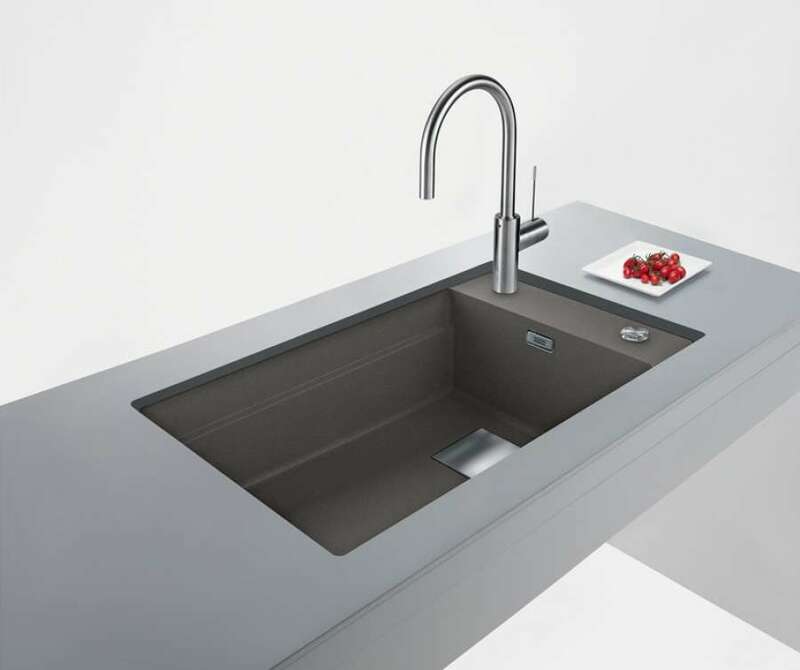 The Kubus 2.0 sink is the functionality declined in 4 models, to meet every need of space: two single-walled proposals (base 45 and base 60 cm), a single-basin version with lateral integrated tap counter (base 80 cm) and a double basin (base 80 cm). The 10 mm radius makes cleaning operations easier and recalls the shape of the stainless steel exhaust cover, well highlighted inside the tub in Fragranite Copper Grey, Lunar Grey, Sterling Silver or Copper Gold. A particular detail is the half-tank recess created to easily accommodate the perforated tray, the Rollmat and the wooden cutting board, creating a highly functional double level. 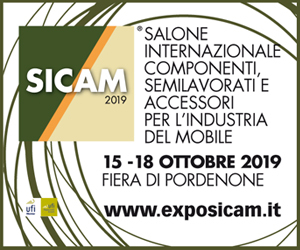 Fragranite is a technologically advanced material with a very tough structure and excellent aesthetic results, being extraordinarily resistant and guaranteeing a high level of hygiene thanks to its no-porous structure. 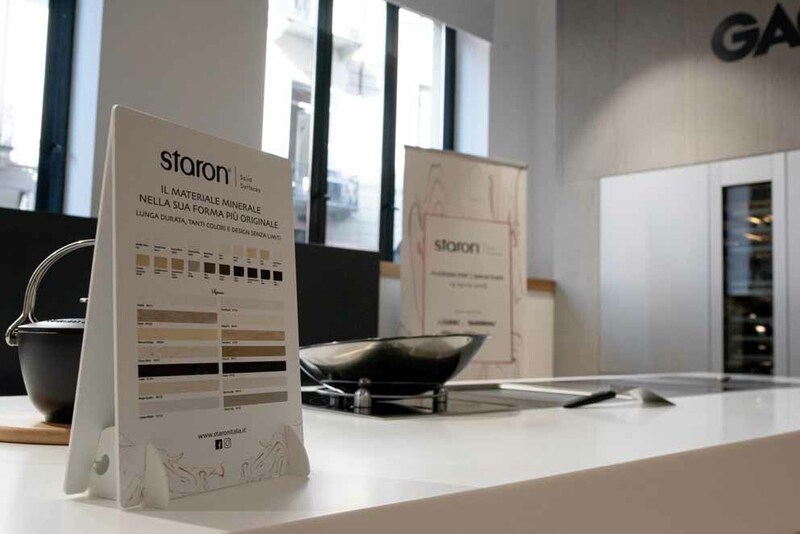 Solid Surfaces by STARON® is a material composed of natural minerals and extremely versatile acrylic components suitable for any furnishing project.